Do you want an extra ease of shutting down your PC instead of usual routine of clicking on Start and shutdown buttons? 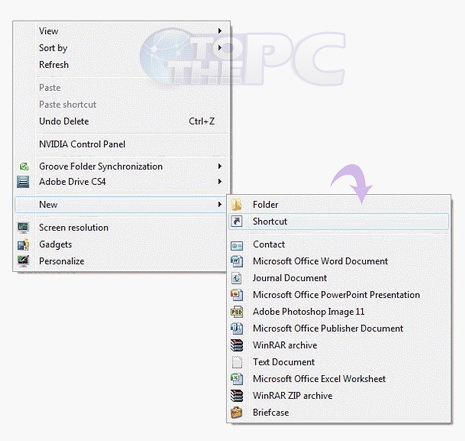 You can easily create a desktop shortcut for PC shutdown, restart and logoff. There after, just click the shortcut button to close or restart computer quickly. 2. Right click somewhere and choose New from the menu. 3. Now select the option Shortcut. 4. It will say type the location of the item, then type Shutdown.exe -s and press next. 5. Now enter a name for your icon e.g Shutdown immediately and press finish. 6. The Shutdown shortcut will be placed on your desktop. There are many combinations which you can type in when creating a shortcut to shutdown, restart, or logoff. shutdown.exe -s Shuts down your computer in 30 seconds and will close all programs and will ask you to save all work. Shutdown.exe -l It will logoff your PC back to the welcome screen and then you have to login again. Shutdown.exe -s -t 7 Shuts down your PC in seven second. the -t 7 is the waiting time. (seven seconds in this case) We can even put -t 20. For better performance it is suggested to use the default means of logging off and shutting down the PC as using this way may slow down your computer’s performance slightly. I have created as u have given me the instructions.But the system is not shutting down. i have tried it in 2-3 systems but same nothing is happening…..
pls give me some suggesstion….